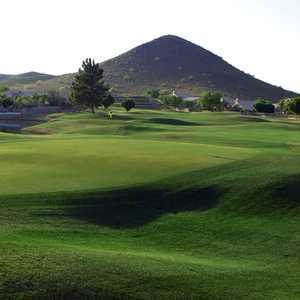 The 18-hole Bellair Golf Course in Glendale, Arizona is a semi-private golf course that opened in 1973. Designed by Lawrence, Hardin & Nash, Bellair Golf Course measures 3493 yards from the longest tees and has a slope rating of 90 and a 28.1 USGA rating. The course features 3 sets of tees for different skill levels. Loved this course! 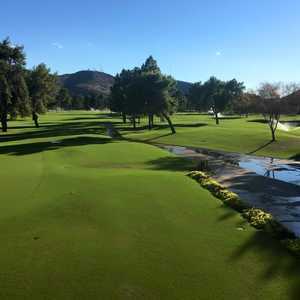 keep in mind it is only par 3's and 4's, this is a great course to learn on, and for a hot summer in Arizona the greens were surprisingly well taken care of! Upon arriving a party of 8 managed to slide right in front of me, Lou at the golf shop allowed me to start on the back 9 first then finish up the front 9 afterwards which really made it a great experience for me! lastly a small bucket of balls (40-50 ish) is only $3 which you cant really beat! this will now be my regular practice spot, also my new favorite course to get some good practice on my irons! Let me first say that this wasn't a "one time experience" 1 star.... I have been to this place several times due to the proximity to my home. The only positive is the people that work the drink cart that rolls around while you play. The people are always friendly and relaxed but give great service and respect your space while playing. Other than the drink carts, I have NEVER had a positive customer service experience at this golf course. Its always something. The people behind the registers are ALWAYS rude and snotty. There are hardly any customers when I go in there and the cashier is either smoking in the back or talking with a "regular" almost every time. They act bratty when you actually want to spend some money because they have to put out their cigarette out or leave the "regular" alone for a minute to "help" you. The condition of the grass and sand traps is embarrassing. The grass either has a sloppy cut or is so spotty and patchy that is obstructs play. The sand traps are more like concrete traps. They are so dry that the ball doesn't even sink into them. It skids or sits on top of the sand. It is literally like hitting your ball off of the sidewalk. It is damaging to your clubs too. The driving range is in mediocre shape but there is a plethora of pebbles and rocks all through the DIRT that they expect you to use to tee up your driver. Also damaging to your clubs. The people that patrol the course on golf carts always have to nit pick you about something. I understand they are there to make sure the course is being respected. Much the same, I always respect the course I am playing on. But they always have to flex their muscles and let you know they are in charge and you're being watched by nit picking where you tee off, where you drive the cart (no I'm not going anywhere near the greens), etc. It isn't very welcoming when every 15 mins someone drives by and is careful to watch your party play for extended periods. A few days ago I went to use the range and the girl at the counter gave me the biggest attitude like I completely ruined her day just for getting a bucket of balls. My message to her and most of their staff is that if you don't like your job, someone else will take it. And just today, I arrived at 6:31 to hit some balls at the driving range. I saw a gentleman just arrived before me. There was about an hour of daylight left. I walk into the pro shop and am greeted with "we're closed". I explained that all I wanted was a small bucket of balls, a person just got here a minute before me, I live a few hundred yards down the street and go there often, and I wouldn't be more than 20 mins. His reply was "we have to close sometime" When I asked what time you close his reply was "GENERALLY, 6:30." So in other words you aren't necessarily closed, you just don't want to sell me a bucket of balls. I practically begged him to let me hit a bucket as I would be gone much before the other gentleman that appeared to have a larger bucket. His response was "I have to close sometime"
You'd think that during the slower summer months they would take any business they could get. I wasn't creating anymore work for him at all. All he has to do was take my money and let me play. No wonder they have been trying to sell this course for years. They are all miserable working there and they have no interest in making people feel welcome and want to come back. If it wasn't like 200 yards from my house I would avoid this place like the plague.